The only thing we love more than shoes are video games (sorry mum). That why when Puma asked us to create a game to promote its RS-O Play sneaker launch, it was a perfect fit. Inspired by ’80s video games, the RS-0 Play is a retro-futuristic blast of bold colour and dynamic detailing for your feet. In order to create a game that was equally as eye-catching, we took cues from our favourite throwback video games as well as design elements of the sneaker itself and built an online world where the RS-0 takes centre stage. 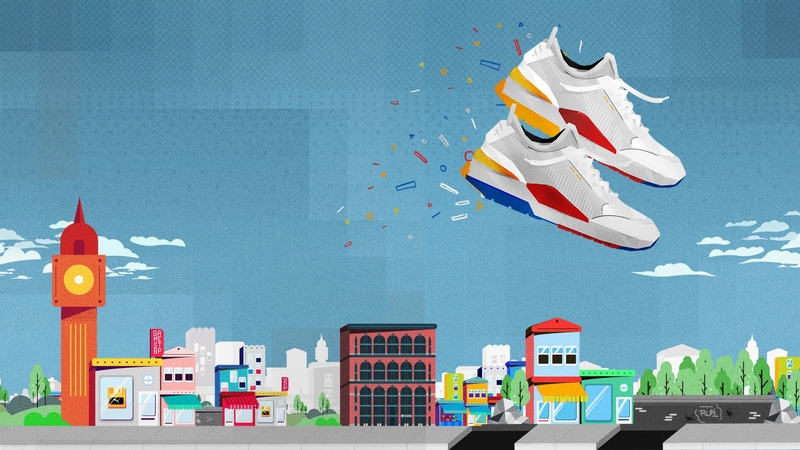 Users are challenged to run through an urban cityscape of geometric shapes and stunning colors to gain points, dodging potholes and other obstacles to become Puma’s ultimate RS-0 champion. Integrating more interactive elements to the platform aimed to increase the dwell time on Puma’s eComm platform, while competitive elements such as a points system and leaderboard added to the game’s addictive and overall playability. It’s like the ’80s all over again… in a good way.